Not since “Doc” Ricketts of Arizona has any other engineer contributed in such an enormous way to the success of so many big copper mining companies! Considered to be a metallurgical genius, he insisted on the very best of everything; mills, concentrators, leaching plants, and everything he designed ran like clockwork. His smelter designs made possible the profitable mining of low grade ores on a grand scale. Doc designed and built smelters for the: Moctezuma, Arizona Copper, Greene-Cananea, Calumet and Arizona and the International at Miami, Arizona. The list of concentrators he designed is even longer and the one he built for the Inspiration was the first of its kind to use flotation. Doc was considered to be one of the best geologists in the world and he played a major role in the development of the Greene-Cananea, the Ajo and the Nacozari mines. His ability to solve difficult metallurgical problems became proverbial in the mining world. 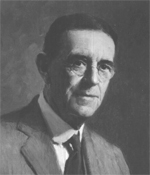 In 1915, Doc was named “First Citizen of Arizona” by Governor Hunt. “The Pioneer of Nacozari”, “The Builder of Arizona”, Doc Ricketts paved the way for the great, but low-grade copper ore bodies. His thinking changed billions of tons of worthless rock into wealth-producing ore!